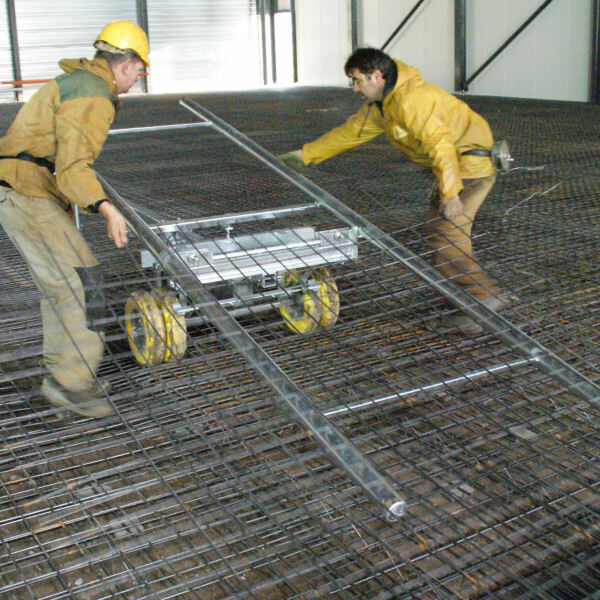 The Mesh Support Cart has been specially developed for the transport of welded steel mesh on the construction site where no crane or other lifting equipment can be used. 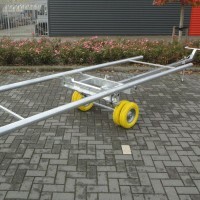 By special placement of the wheels it is very easy to pull or push the Mat Cart. 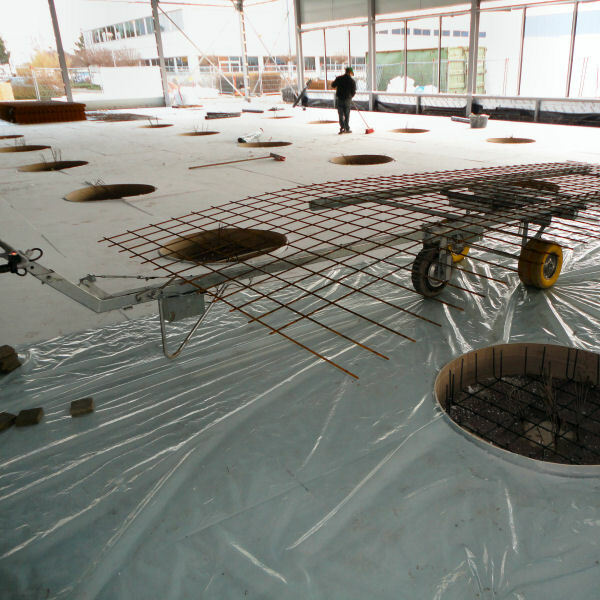 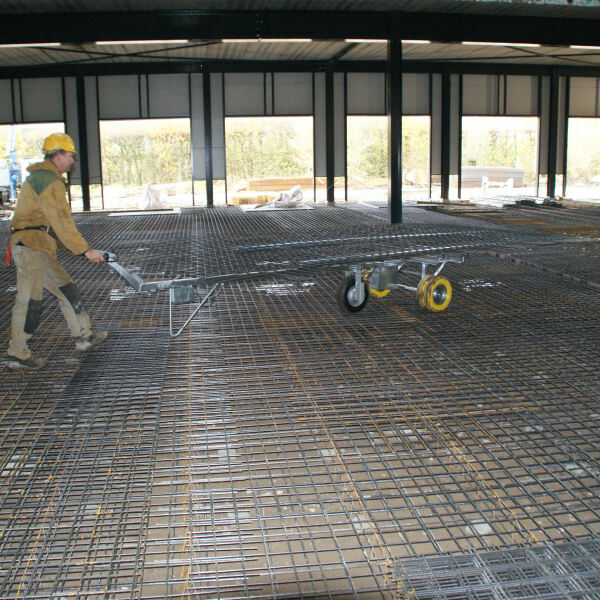 Welded steel mesh slabs are no longer lifted with the Mesh Support Cart, but are moved like a regular wheelbarrow. 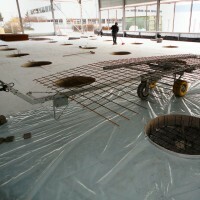 This makes a faster, easier and cheaper mesh transportation possible. 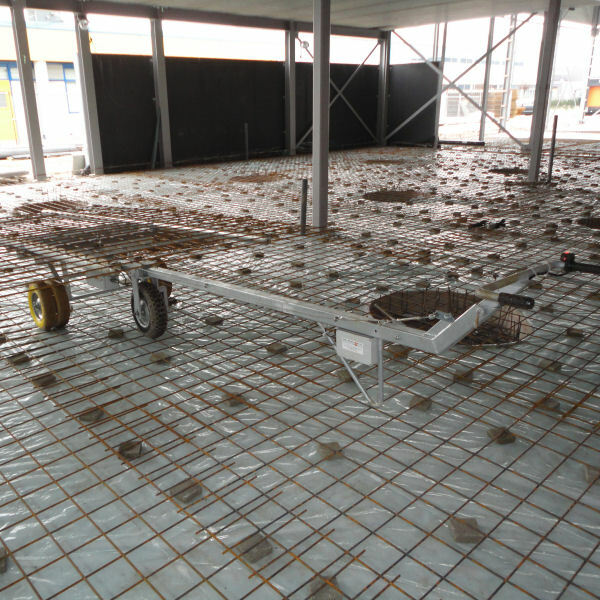 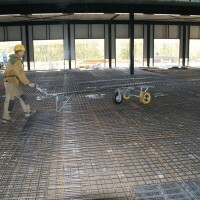 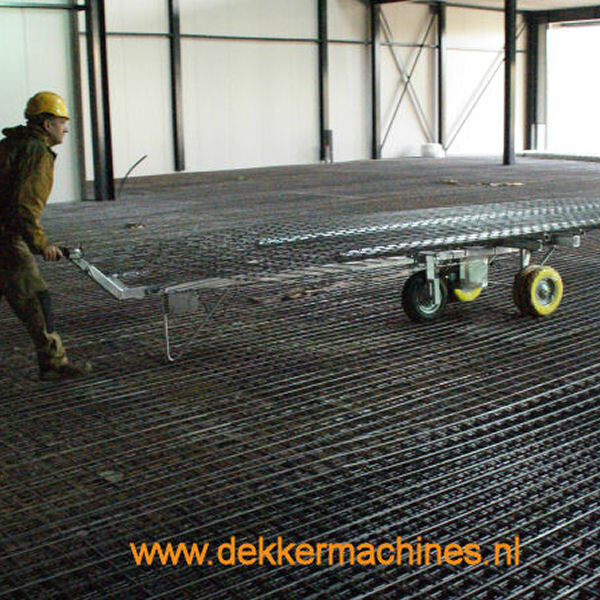 With the Mesh Support Cart construction steel sizes up to 225 kg can be moved by one steelfixer. 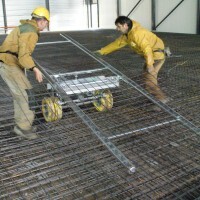 By using 2 Mesh Support Carts, the two steelfixers help each other to slide the welded steel mesh on the Mesh Support Cart. They help each other again to place/slide the steel mesh in the right place inside the building. 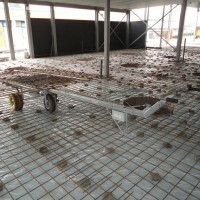 This allows only 2 people to move the meshes. 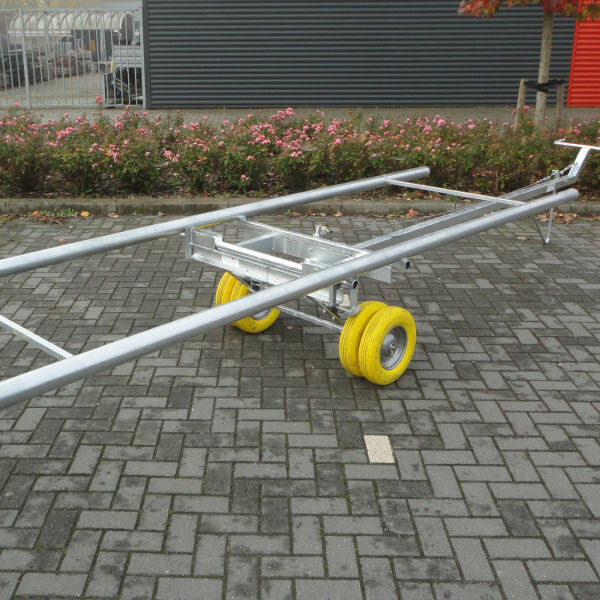 The ELECTRIC Mesh Support Cart on polystyrene, by electric drive can be driven with one hand.